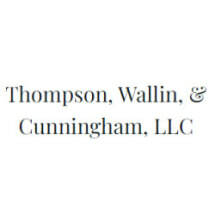 Thompson, Wallin, & Cunningham, LLC, is a law firm in Newnan, Georgia, with an attorney and support team committed to compassionately and effectively guiding clients through resolving their family law challenges. Every person looking to address a family law issue faces a unique set of circumstances. Whether you are considering divorce or looking to modify a child support agreement, attorney Laura L. Thompson can leverage the law to your best advantage in an effort to meet all your legal goals. We tailor our approach based on each client's needs and family situation. Ms. Thompson can work to reduce stress levels in contentious cases and, when appropriate, guide clients in reaching a negotiated settlement with the other side. However, if a case requires aggressive representation and needs to be prepared for trial, she is ready. At Thompson, Wallin, & Cunningham, LLC, our lawyers and legal team have helped a range of families across surrounding communities resolve their legal challenges. We also handle personal injury cases and estate planning matters. Find out how our legal skill and personal service can help you.